A great cooler bag for your adventures! Whether packing a lunch, picnic, or taking a road trip. The perfect item to add style to your lunchtime routine. Keeps you looking good and your contents fresh. 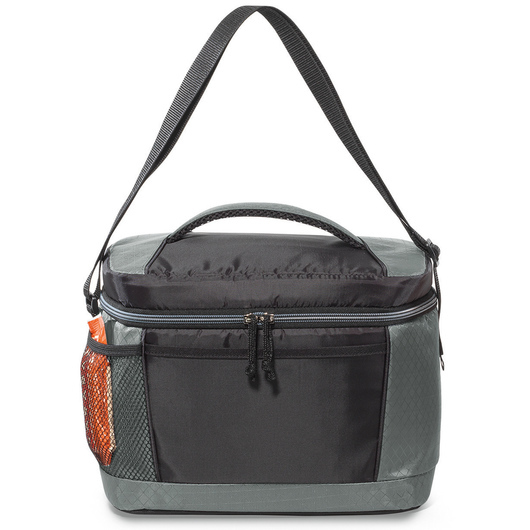 It features a zippered closure to large main compartment, front slash pocket, adjustable shoulder strap, side mesh grab handle, heat-sealed interior, PEVA and PU fabric backing (PVC free), and it is Phthalate free. Made from 210D polyester fabric, and has a carrying capacity of 10 litres and can store 16 cans inside. Zips smoothly & has a comfortable shoulder strap. Perfect size bag for any lunch, or just for snacks. Good for students, office workers, travel, picnic, etc.